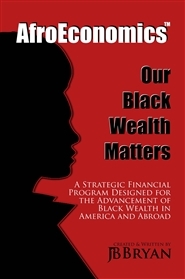 AfroEconomics™ is a strategic financial management program developed for the advancement of Black Wealth in America and abroad. Created by Ms. JB Bryan, the President and Chief Investment Officer of JB Bryan Financial Group, Inc, a registered investment advisory firm. This book was written to serve and empower YOU! 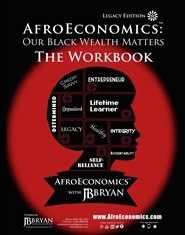 This workbook is a companion to AfroEconomics™ (the book). The material is here to serve and empower YOU! 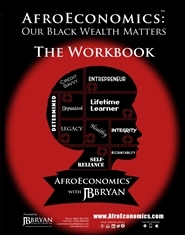 AfroEconomics: THE WORKBOOK (Legacy Edition), accompanies AfroEconomics™: Our Black Wealth Matters (Legacy Edition). 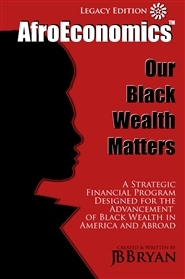 This strategic financial management program was developed for the advancement of Black Wealth in America and abroad. 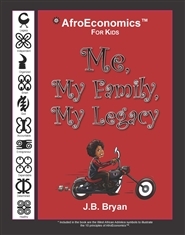 The Legacy Edition utilizes West African Adinkra Symbols to illustrate the ten core principles of AfroEconomics™.